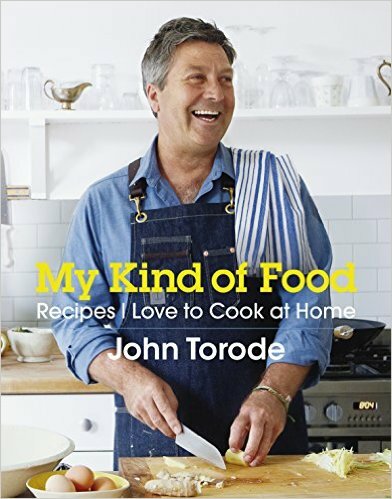 My Kind of Food is a very personal book from John, full of the food that he loves to cook and eat, recipes that he makes away from the cameras and professional kitchens. ‘My world as I know it started with my Nanna’s roasting tin, a chicken and a wooden spoon. The food she cooked was always simple, but delicious. Her cauliflower cheese was awesome, her caramel slice wonderful and I am still searching for a recipe to make her apple tea cake. So life started simply for me. Since then I have cooked in professional kitchens, run my own restaurants and done a lot of telly. Some of you may have eaten in my restaurants, some may have seen me on MasterChef, but I guess that not many of you know what I really cook for myself and my friends and family. Be in with a chance to win John in your kitchen! All you have to do is cook one MY KIND OF FOOD recipe from the selection below or your favourite recipe from the book – vlog or blog about it and tweet using #MyKindofFood and the best entry will win a few hours in the kitchen with John. Good luck. We are looking for good quality vlogs and/or detailed blogs with photos. One winner will win a vlogging session or cookery demo with John Torode in their own kitchen. 5 winners will win TWO copies of the book – one for themselves one for a friend. #mykindoffood. John and a panel from Headline will choose the winning competition entry. possibly other websites and Twitter accounts. iv. There is no purchase necessary to enter. eligible for entry into the competition. vi. The winners will be announced on November 9th 2015.
prerequisites for being awarded the prize. will not be accepted via agents, third parties or in bulk. notice. No cash alternatives to prizes will be provided. receive any further news from us. xii. By entering the competition each entrant agrees to be bound by these terms and conditions. accordance with the laws of England, whose courts shall have exclusive jurisdiction.